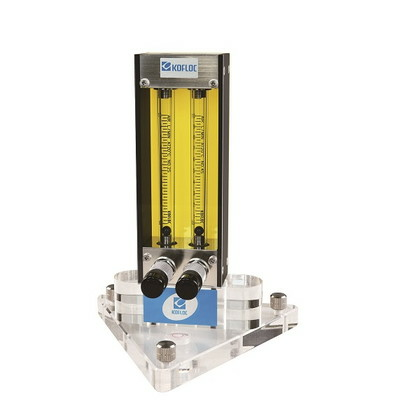 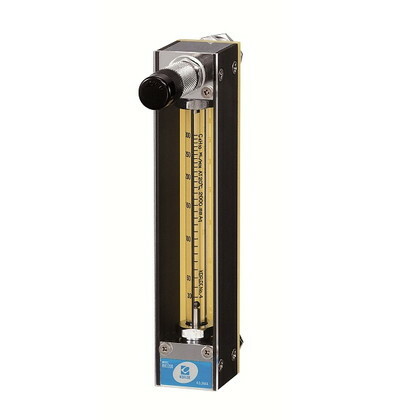 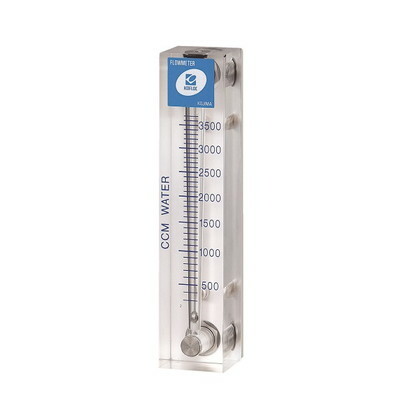 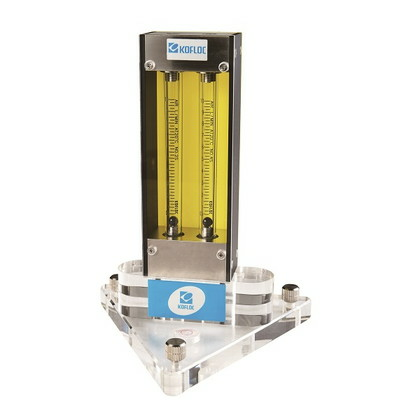 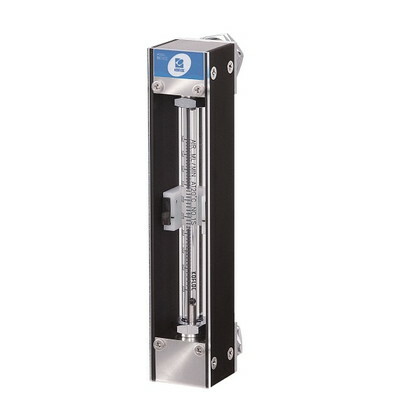 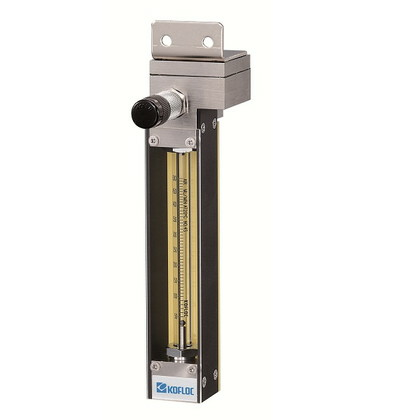 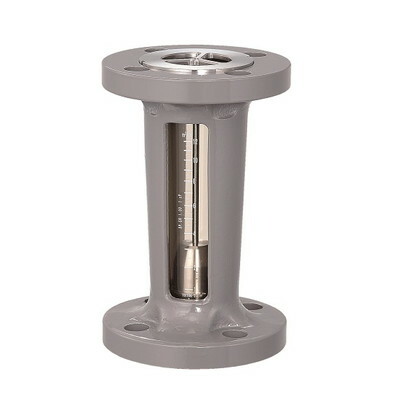 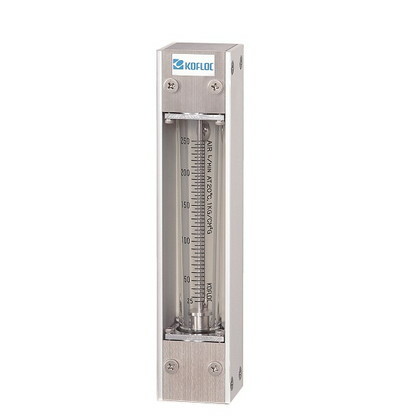 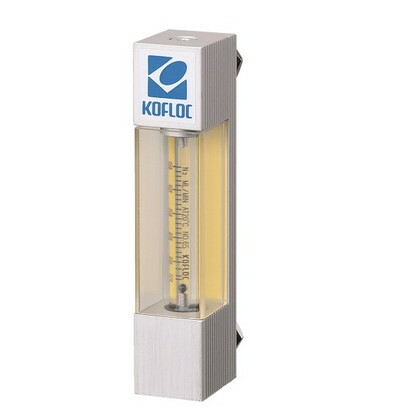 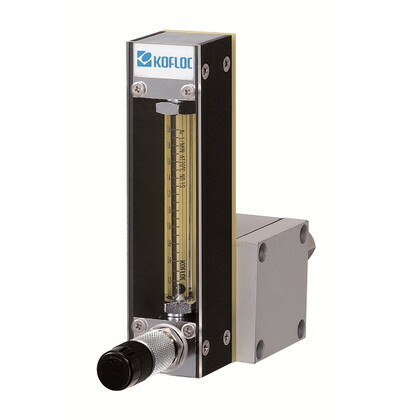 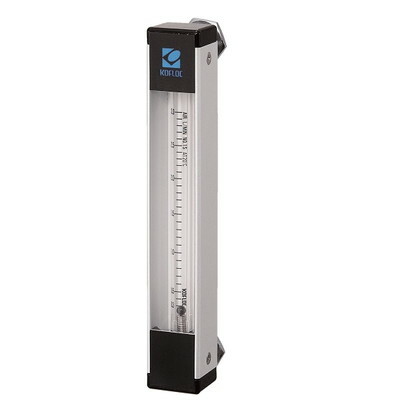 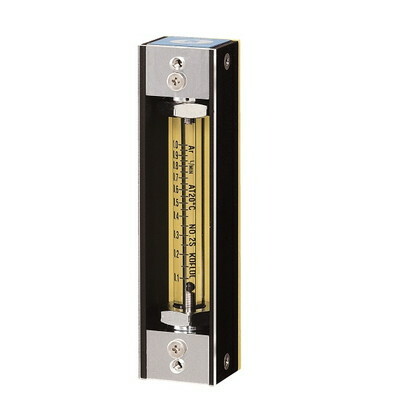 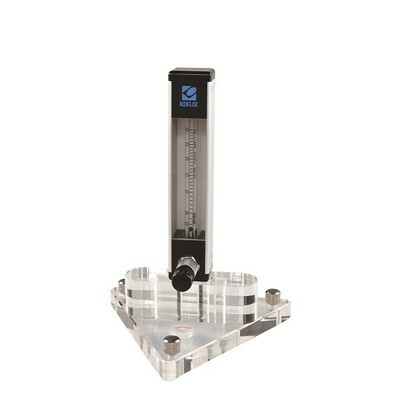 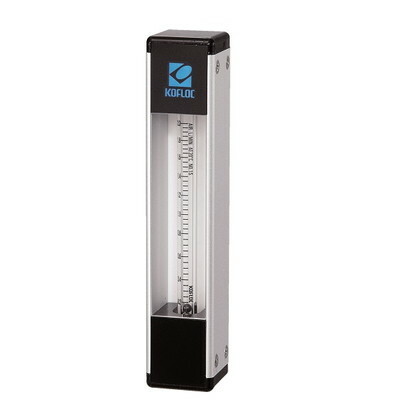 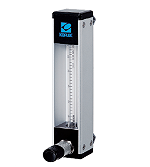 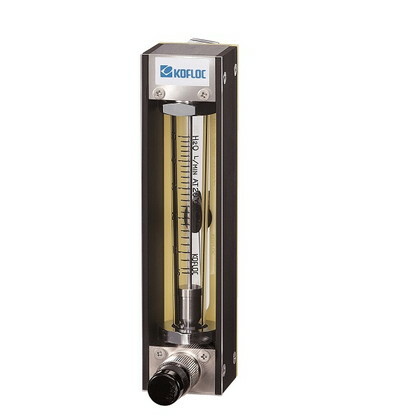 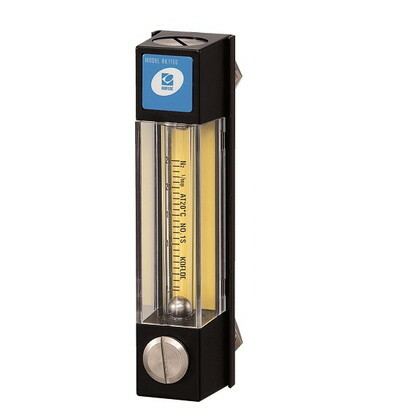 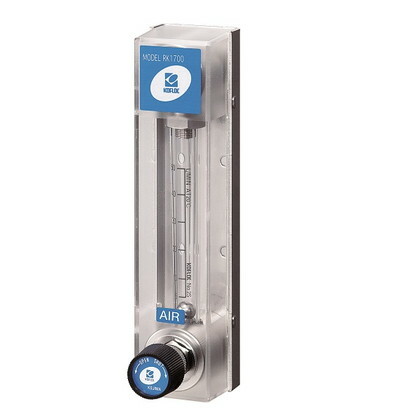 An area flow meter has a float in a conical cylinde (tapered tube) with a larger end in the upper section and a smaller end in the lower section. 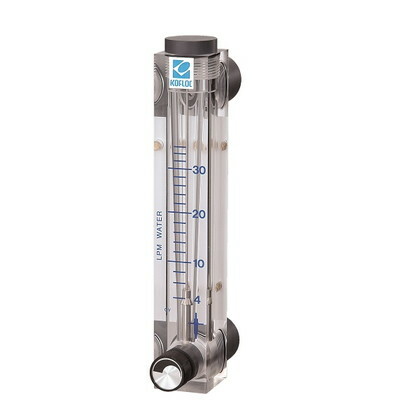 The float moves up and down according to the intensity of the flow, and the position at which the float balances indicates the flow rate. 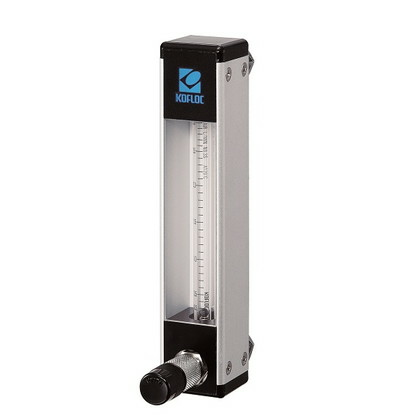 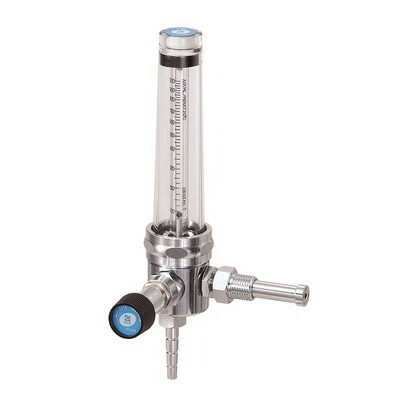 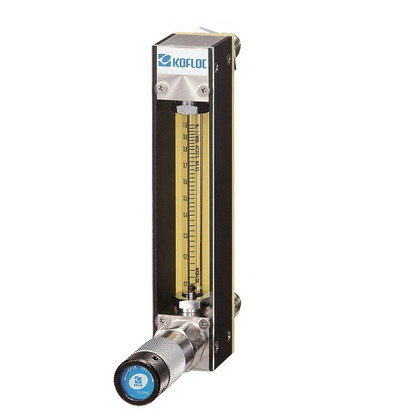 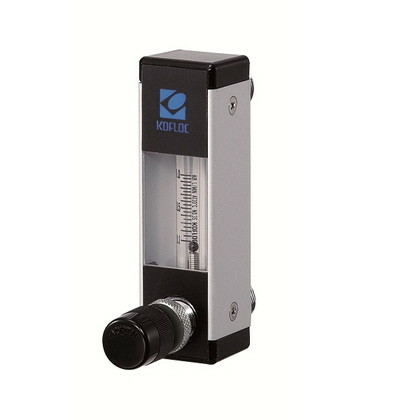 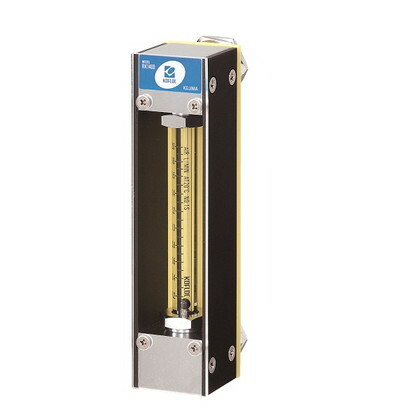 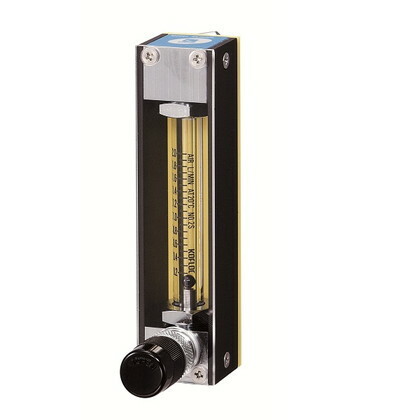 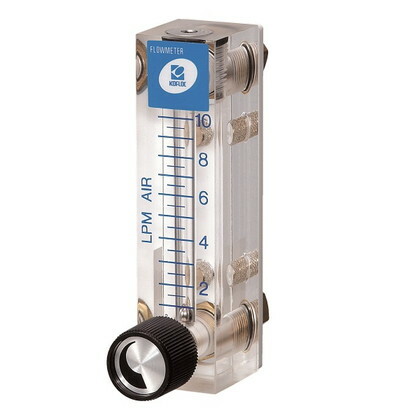 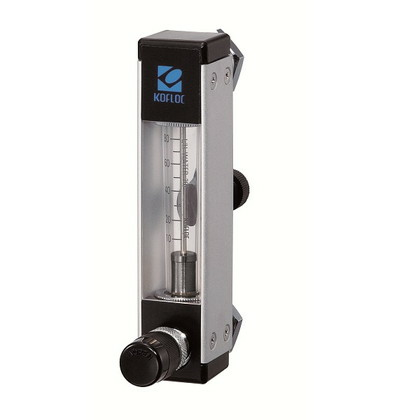 Not only simple flow meters that merely measure the flow rate but also flow meters with a valve for flow control, flow meters with a load pressure fluctuation type flow controller, flow meters with a supply pressure fluctuation type flow controller, and flow meters with an alarm switch are available.